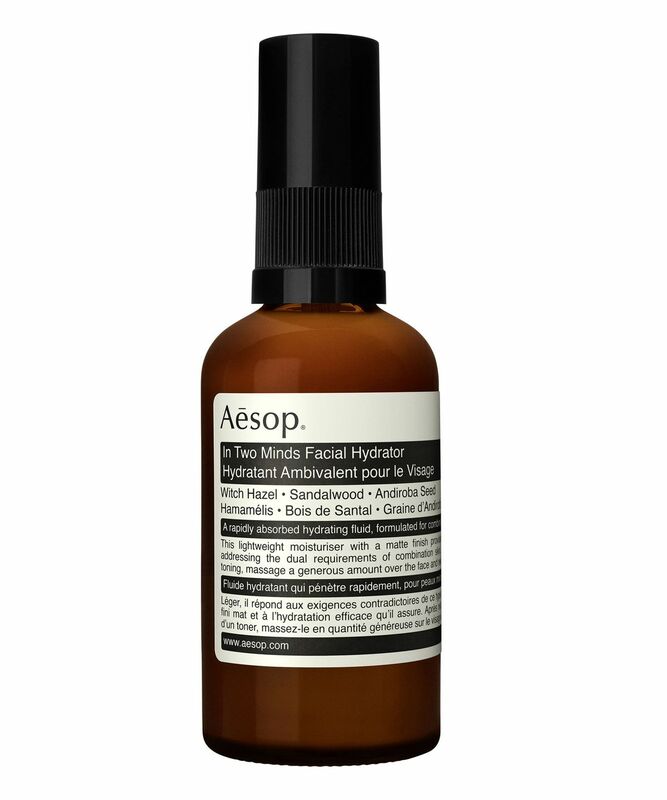 Aesop manages to be both beautiful and practical, a hybrid of old school and new tech disciplines. The bottles are brown glass, because it protects product from degrading UV rays allowing them to use fewer preservatives. If your combination skin just won’t make up its mind, this rapidly absorbed moisturiser delivers just the right amount of hydration, leaving a soft, smooth, matte finish. Witch hazel and sandalwood unite to balance your complexion, while lavender oil imparts a beautiful woody scent. 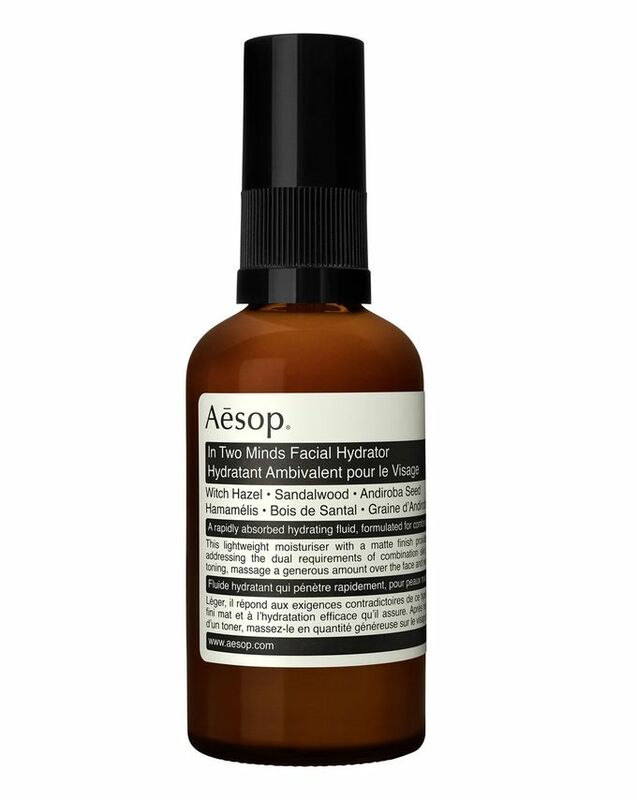 Perfect for indecisive, combination skin, Aesop’s In Two Minds Facial Hydrator delivers the lightweight hydration and even matte finish you’ve been searching for everywhere. With blemish-battling witch hazel and soothing, antibacterial sandalwood, the formula balances skin beautifully, while andiroba seed oil hydrates and heals. Your complexion will be left soft, smooth and content with moisture, while lavender oil adds to the woody, herbaceous scent, making this a pleasure to use. After cleansing and toning, dispense product into the hands and massage gently into the face and neck. I'm enjoying using this moisturizer so much! it is super smooth and feels so rich as you apply it, but in the same time gets absorbed so nicely and doesn't leave the skin sticky. I have combination skin, and its difficult fining products that work for both oily parts and the sensitive dry ones. I do however find the need sometime in winter to add an extra hydrating serum around my mouth just because it gets too dry. but that doesn't stop me from loving this, because it even helped with breakouts control. Forgot to mention its Worth it! I just forgot to mention that it is absolutely worth the price, I have been using it for about 3 months now and I have only gone through a quarter of the bottle. So its totally worth the price.